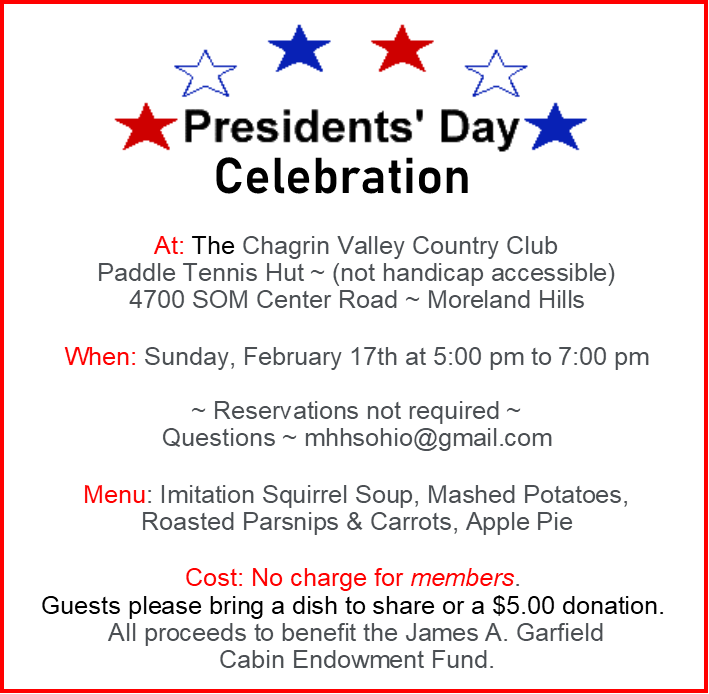 On February 17, 2019 the Moreland Hills Historical Society invites you to a meal fit for a King, (or perhaps a President!). The 20th President of the United States, to be exact. 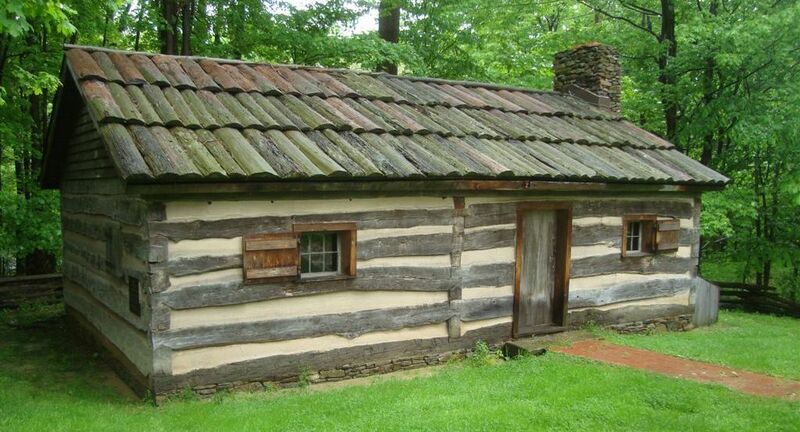 Did you know that James A. Garfield was said to have had a fondness for Squirrel Soup? Our chefs have been frantically chasing the squirrels around Moreland Hills to no avail, so we’ll be serving up our rendition of Imitation Squirrel Soup. For those of you wishing to make an authentic Squirrel Soup; we found this recipe originally published in, The Whitehouse Cookbook (1887) / Cooking, Toilet and Household Recipes, Menus, Dinner-Giving, Table-Etiquette, Care, Page 37 of 619.